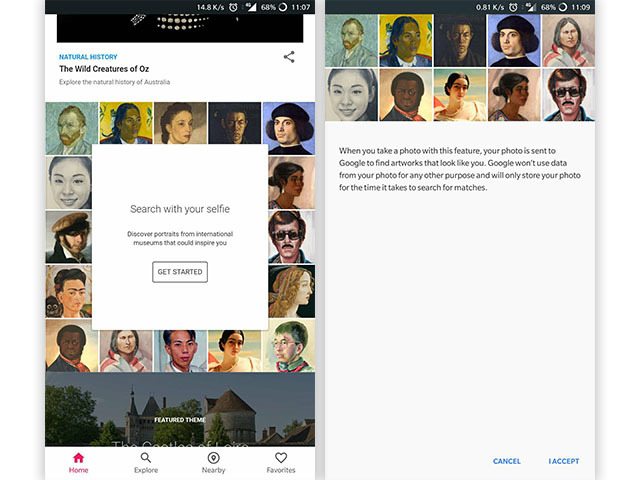 A recent update to the Google Arts & Culture app added a cool new experimental feature that allows users to match one of their selfies with an art history doppelgänger. While social media has been quite enthusiastic about the new feature over the last week, Indian users have not been able to have fun with it until now. In order to use the feature, all you need to do is download the latest version of the Google Arts & Culture app. Upon scrolling down of the landing page, you’ll be greeted with a “Search with your selfie” card. Once you click on the ‘Get Started’ button, you’ll have to agree to a disclaimer which states that Google won’t be using the image data for any other purpose and will only store the photo for the time it takes to find the matches. Accepting the disclaimer will open up the camera and you can then take a selfie with your face within the indicated space. The app then takes a few seconds to analyze the image and then displays the results. Depending on your selfie, the app will show one or more results with varying degrees of similarity. The app also shows an estimated percentage of visual similarity between the face and the artwork. Through the feature, the app connects users to more than 6,000 exhibitions from over 1,500 museums around the world. “At Google Arts & Culture, our software engineers are always experimenting with new and creative ways to connect you with art and culture. 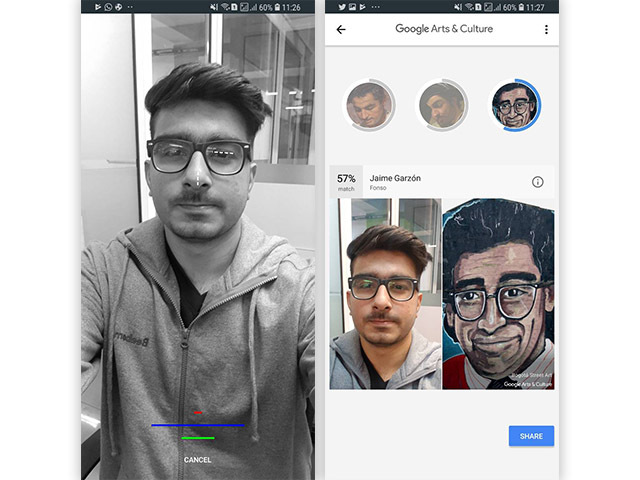 That’s how this selfie feature came about, too…We created an experiment that matches the selfie with art from the collections of museums on Google Arts & Culture- and over the past few days, people have taken more than 30 million selfies. Looking at the success in the US, we are excited to roll this feature to other countries, including India”, a Google spokesperson said.